Friendship is having inside jokes and laughing so hard that tears stream down your face. It's knowing that there will always be someone there to go on ridiculous adventures for no reason. That's friendship! 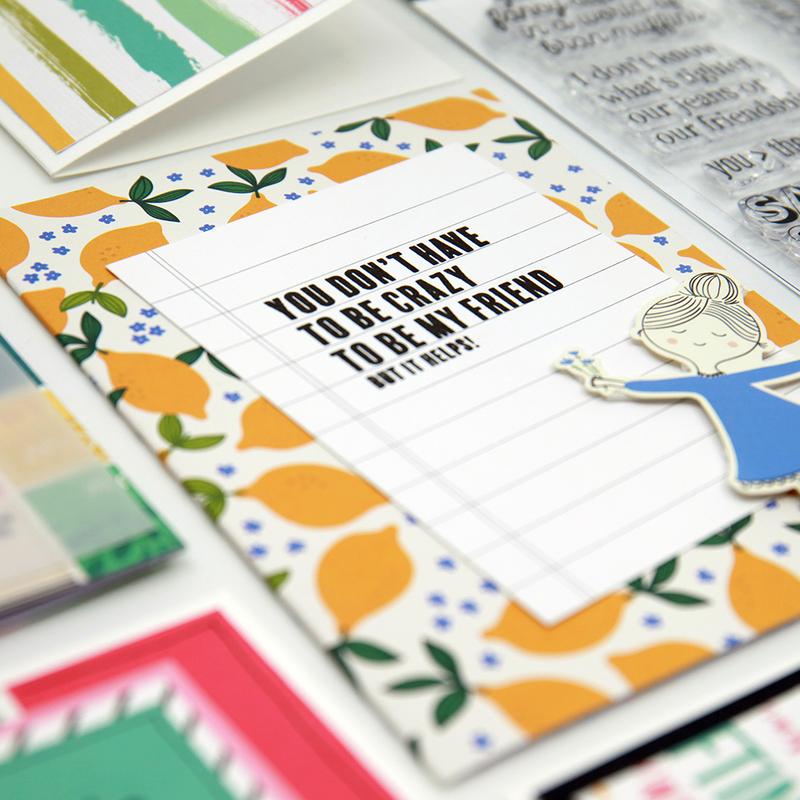 So show your bestie how much you appreciate them with a handmade card, a scrapbook page all about your antics together or an entire album letting them know that they're your best accessory! 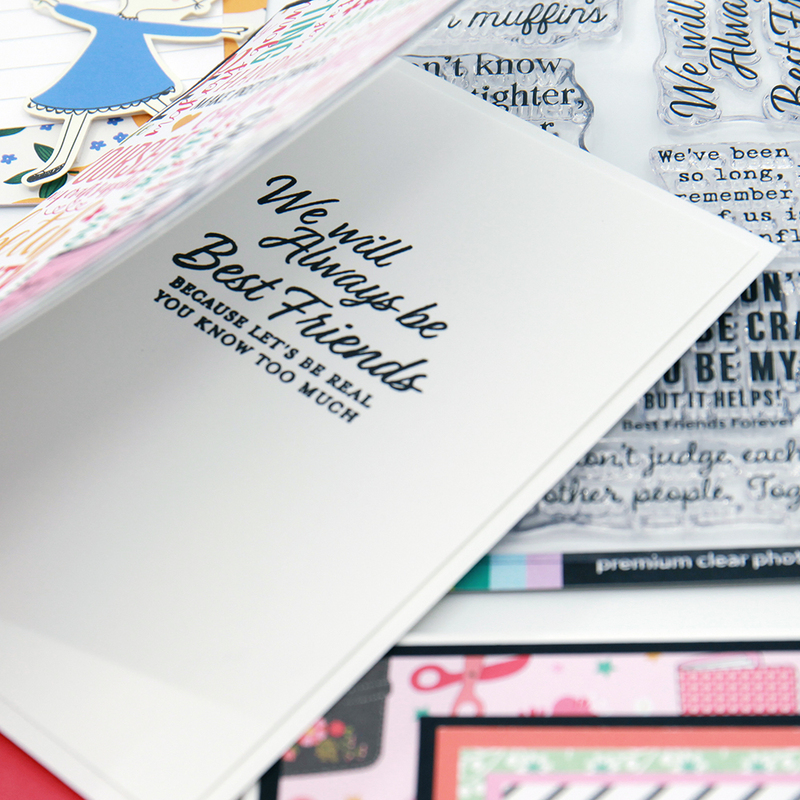 We are jumping for joy over here to share with you our exclusive designer stamps that all about friendship and love. 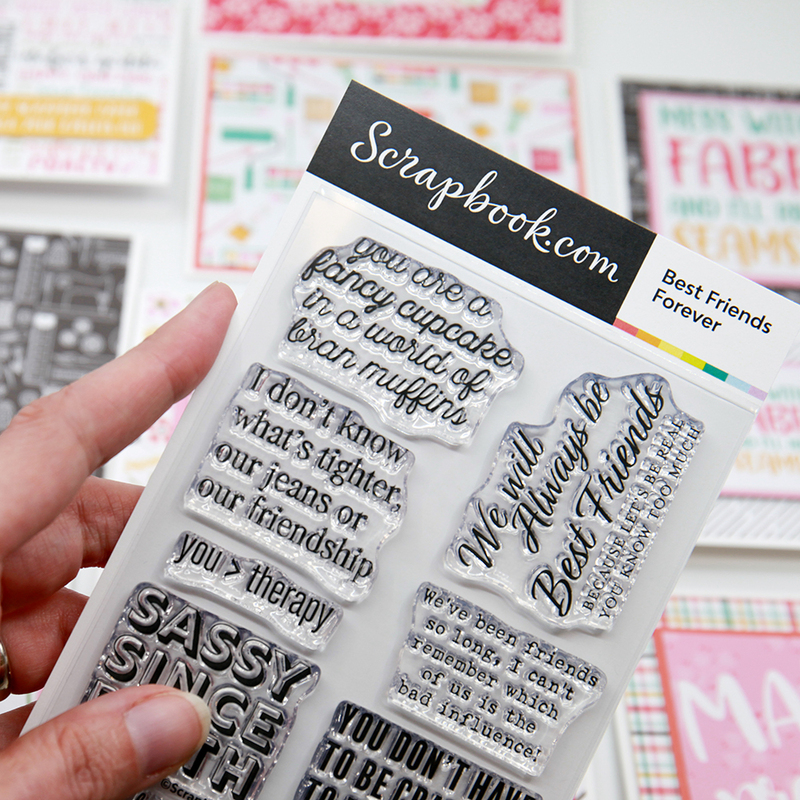 These designer clear acrylic stamps are the product of talented crafters from right here in our home state! This set of eight premium clear photopolymer stamps come on a convenient 4” x 6” storage sheet. 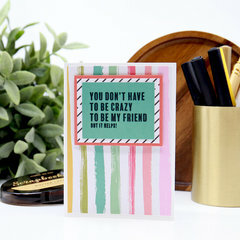 Get started on sharing all of your crazy together and let the world know that yours is a friendship crafted out of love! YOU DON’T HAVE TO BE CRAZY TO BE MY FRIEND but it helps! 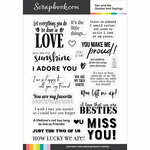 We are certain that you will enjoy personalizing your crafts with these affordable and handy premium high-quality stamps. Our hearts went into creating them and the thought of helping inspire you to live a life handmade! 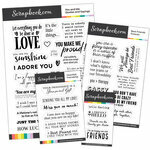 This product is a Scrapbook.com exclusive and was designed and made with love in the USA! 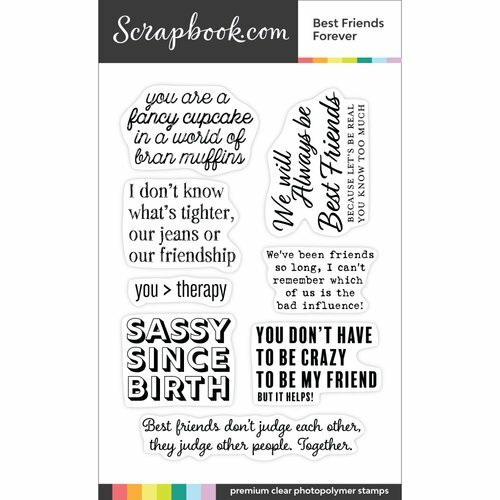 This is the perfect stamp to use with your friends. It was one of the many reasons I bought it. The sayings are delightful. I seem to make more cards for my friends then any other cards. These are a nice size to stamp with. I'm sure to get many years of use with them. I bought these specifically for a birthday card for a lady I have been friends with for 52+ years. They are great stamps! 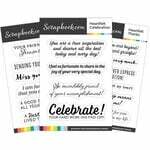 Humorous verses for your cards. 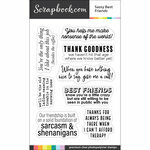 Sayings you would send to your friends for fun. I like to send funny cards and you can't find inside verses with any humor so this is perfect. These stamps are so cute and so sarcastic, in a fun way! 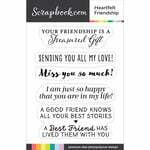 I have a best friend who has already received a card w/one of the stamps and she absolutely loved it! So funny. Making cards for my friends just because makes me laugh and smile inside. 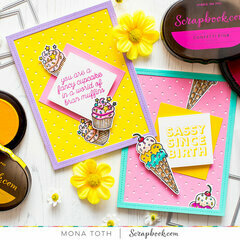 These stamps make aging fun! Great stamp set for friend's card. My friend saw it and ordered a set. We will have a lot of fun with it. This is the perfect stamp set. 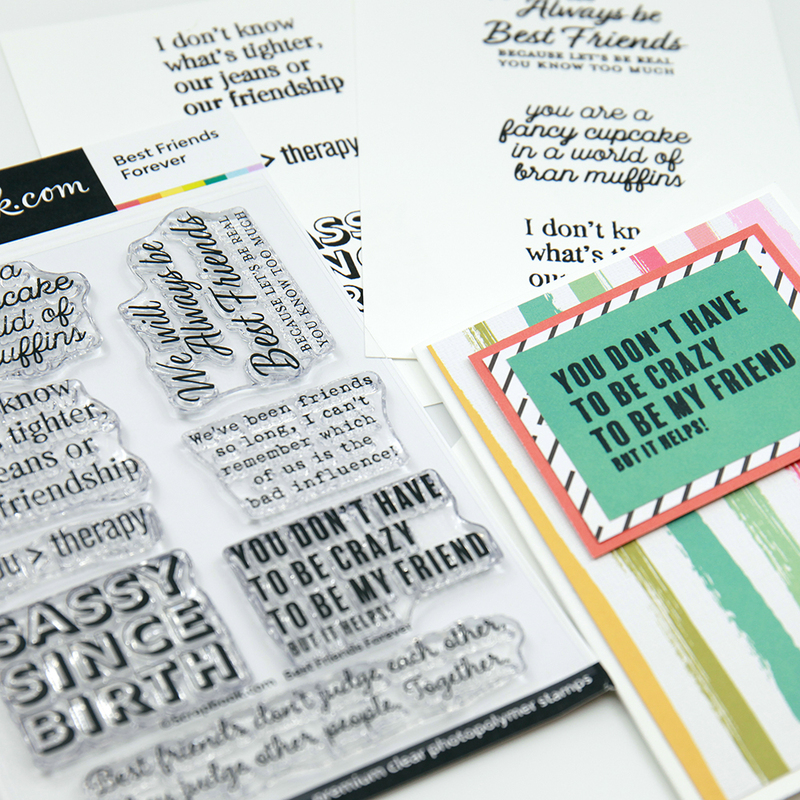 Every one needs to buy this stamp set and send cards to their friends. 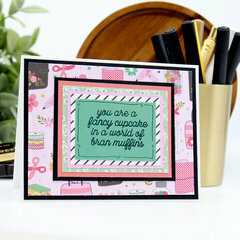 This is the cutest sentiment set ever! 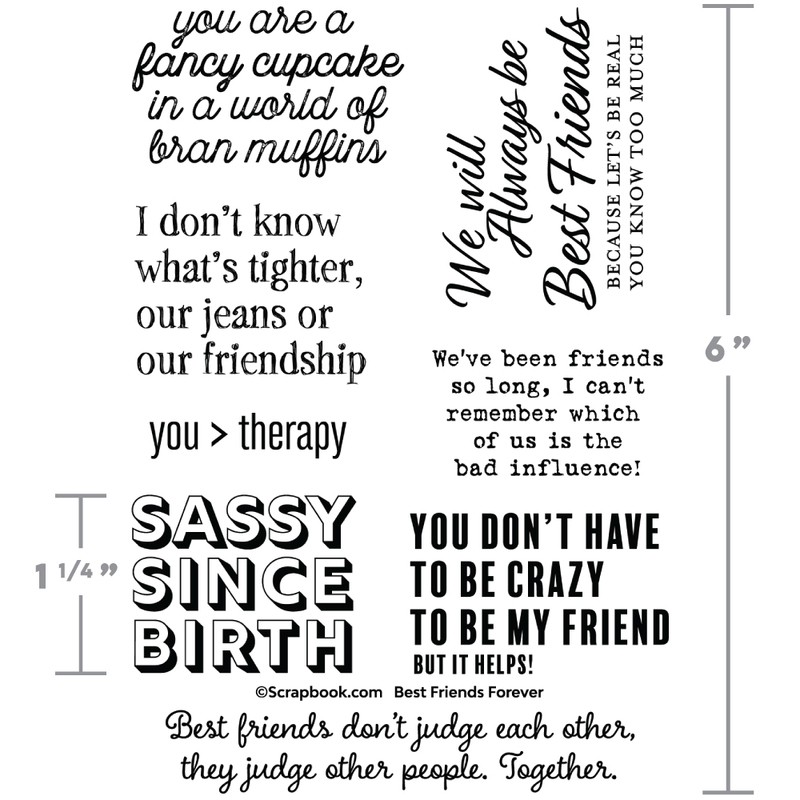 I think it's a must have friendship sentiment set.